I just adore this pattern of the Pencil and Notebook Case. It was one of the first ones that I had ever written. 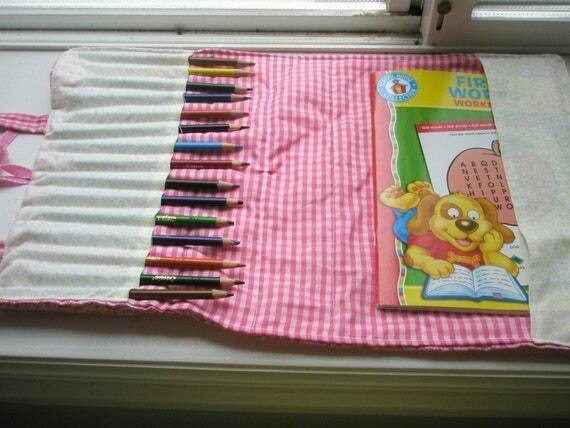 It is the perfect pattern for a child to learn to sew with a little supervision. 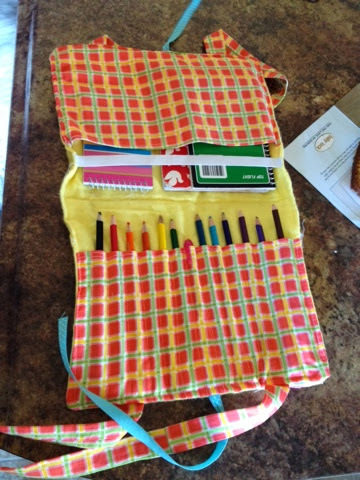 My daughter found my pencil and notebook case pattern that I wrote a couple years ago. She immediately wanted me to teach her how to make it. Instead I told her to read the pattern, and let me know where she wanted/needed help. This is the finished product. I just purchased an embroidery machine and we embroidered her name on the front of it. 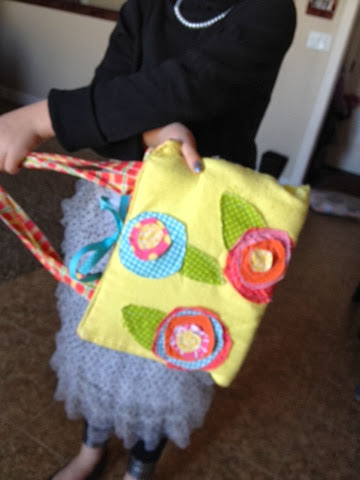 She was able to sew all the appliqued flowers onto it, we even added a few more onto the back. 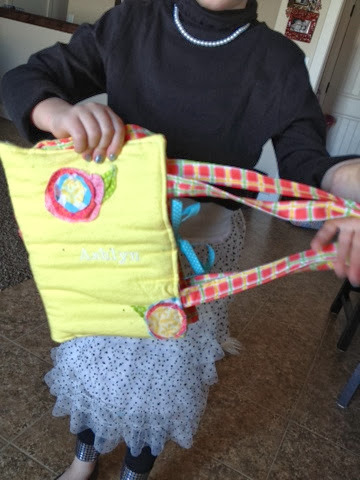 She sewed most of it together. I only topstitched around the outside, and did the pencil spaces.